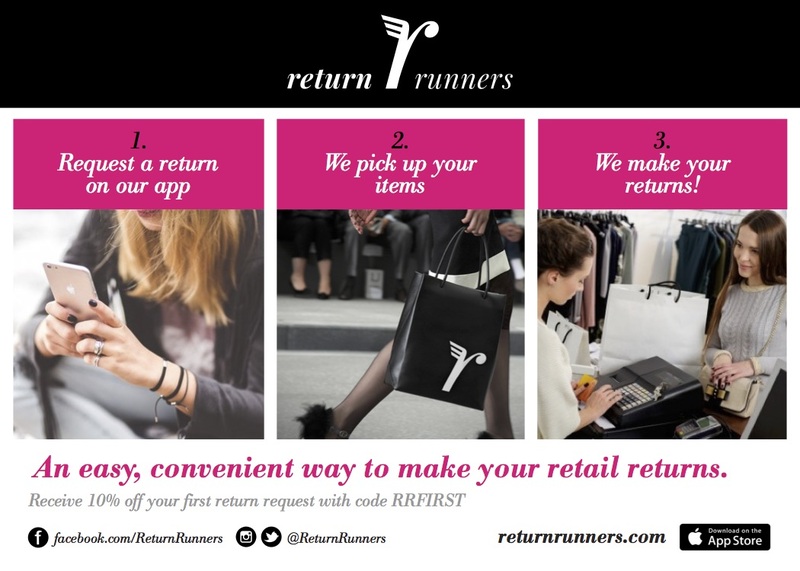 ReturnRunners is an on-demand service that returns unwanted items for you. 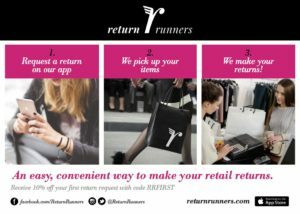 By downloading their app, users are paired with a local “Runner” who will pick up the merchandise and make the desired return(s) on behalf of the customer. Pick-ups occur when and where the customer requests and updates are sent throughout the entire return process–including a confirmation receipt once the job has been completed. 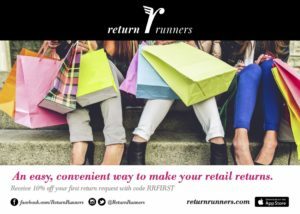 As a startup, ReturnRunners found they didn’t have the budget to staff a full-time designer and were wasting time on tasks that fell outside their areas of expertise. They began to search for freelancers through Google but found there were challenges of trust, control, and quality assurance when outsourcing design and copywriting projects. 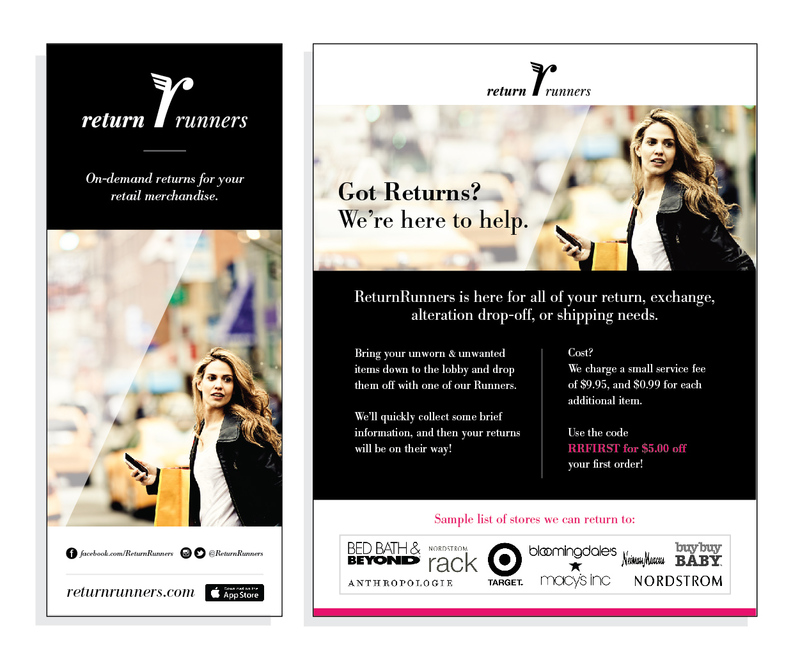 ReturnRunners was in need of a service that could quickly turnaround high-quality assets, such as flyers and postcards while remaining within their budget. 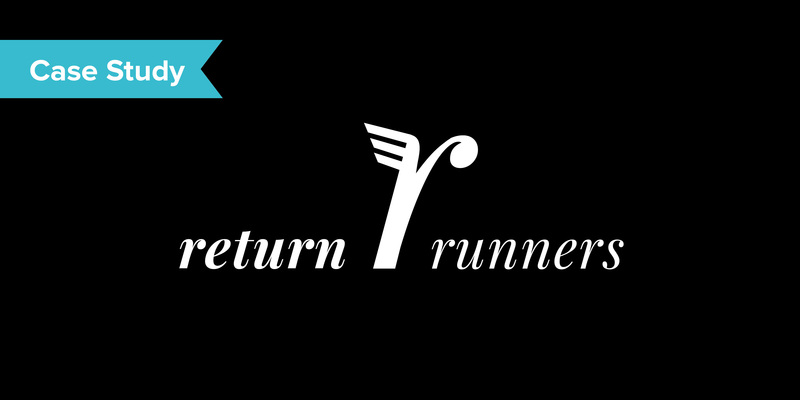 After discovering ConceptDrop through a personal connection, ReturnRunners was able to hand over multiple design projects that needed immediate attention–first and foremost, a logo for their company. ConceptDrop’s platform instantly matched this startup with a professional freelancer who was able to design the clean, elegant logo mark showcased above. Fara and her team found that the process of submitting projects was seamless and their business was running smoother than ever before. 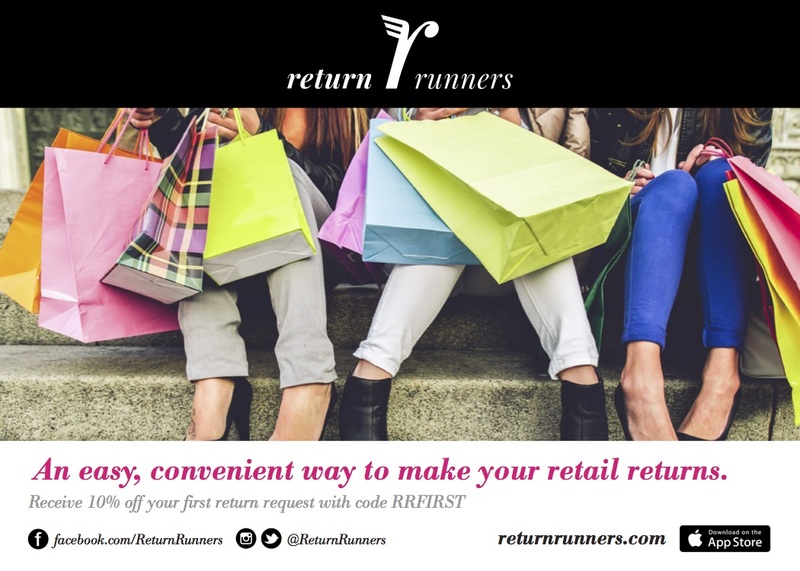 Since then, ReturnRunners and ConceptDrop have, side-by-side, produced a variety of sales and marketing collateral–from tradeshow banners and investor decks to flyers and informational 4×6 cards. Our reliable and easy-to-use platform allowed ReturnRunners to create the materials they needed to grow their business. In need of resources to get your business up and running? Get in touch with a member of our team to learn how you can offload your design and copywriting projects to an experienced freelancer today. Request a demo today!